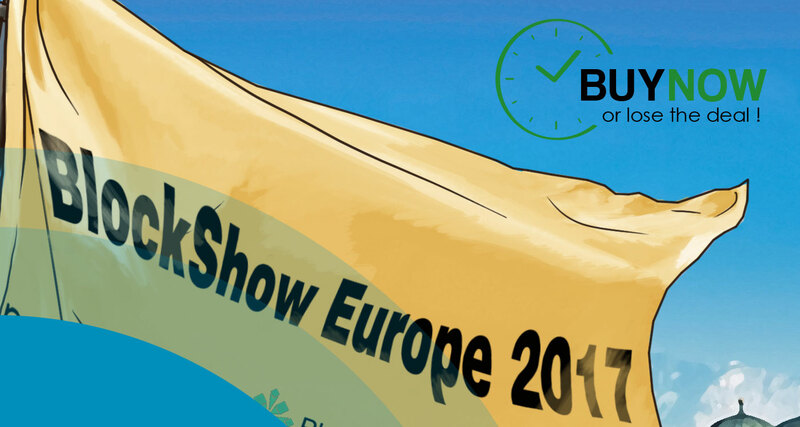 On April 6, 2017, the BlockShow Europe 2017 event will take place in Alte Kongresshalle, Munich, Germany. The conference is going to be a major international event for showcasing established Blockchain solutions. Nxt Foundation will attend as exhibitors, and represent Nxt and Ardor with a booth in the main exhibition space. As announced on Nxtforum and the Nxt Weekly newsletter there’s a rebate for Nxters who’d like to attend - all you have to do is register @ https://www.eventbrite.com and enter the promotional code NXTMUNICH before buying your ticket. This will give you a 20% rebate on your ticket. There are only 6 tickets left with the 20% rebate for Nxt attendees and only 10 tickets left in total, according to CoinTelegraph, so do NOT hesitate if you want to attend this great event! Among the conference speakers will be experts, businesses, and practitioners of the global Blockchain industry, such as Ned Scott (CEO & Co-founder at Steemit), Adam Stradling (Bitcoin & Blockchain pioneer and co-founder of Bitcoin.com), Ismail Malik (CEO of Blockchain Lab and founder of SmartLedger), Bernd Lapp (Advisor at the Ethereum Foundation), Matej Michalko (Founder & CEO at DECENT), and old friends, such as Sasha Ivanov (founder and CEO at Waves). You can see the list of the currently confirmed speakers and the full program on http://events.cointelegraph.com/programme/. Find other Nxters who attend on nxtchat.slack.